Welcome to this new weekly feature on Shannon’s View from Here! This is going to be co-hosted by myself and three great new blogger friends of mine. Every Wednesday we will highlight all of your lovely crafts that you have been doing with your children. Each Wednesday one of use four bloggers will highlight one of our own artsy play craft that you can enjoy with your kiddos. I look forward to seeing what you are all up to! This weeks project is a guest post by Theressa from over at Capri +3! 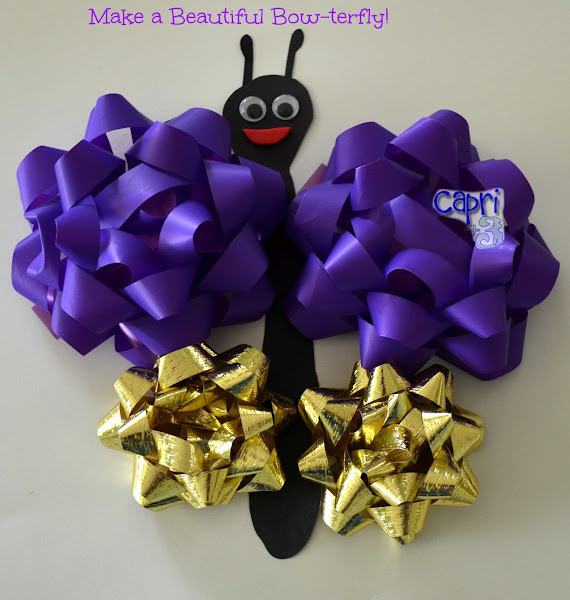 The featured Artsy Play Wednesday craft is Bow-terfly Butterfly Craft! Very cute craft! I will have to do it with the kids sometime soon.